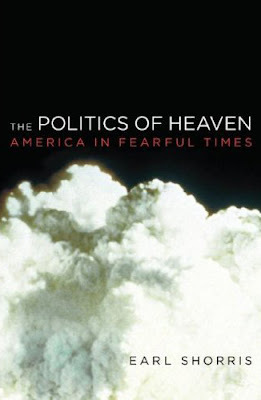 "...the nameless political movement that governs America today...transcends political parties, has no formal structure, no acknowledged leaders, and no sworn loyalty except to God, whose will it interprets according to its fears and desires. Yet it is not an abstraction. It elects our presidents and legislatures and informs their decisions while in office." It's tough to tell from this scan, but I want to know: are those heavenly clouds, or is that the debris cloud from a felled building and a horrible prediction of the future? I hope those aren't calamity clouds...the book promo seems like a harbinger of doom type of presentation and it makes the God concept sound rather grumpy or in no mood. But you know what they say about judging a book by its cover... it looks like an interesting book. Perfect cover for its subject matter. i think that's the whole point. you're meant to be unsure.